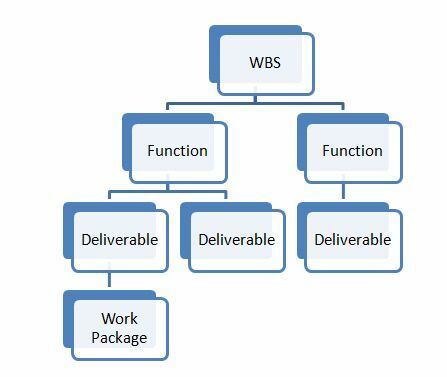 I recommend reading Work Breakdown Structure – Musings Part -1 and Work Breakdown Structure – Musings Part -2 before reading this post for better understanding. There are several issues that often crop up with work breakdown structures especially with teams that are new to the process. The first issue is not breaking down tasks far enough. For example, if one of the project deliverables project is a website, it is important to break that deliverable down into its component parts. The above is not a complete example but shows how a deliverable can be broken down into specific tasks which break down even further into activities. Many times the project and project management activities are left out of the work breakdown structure. The focus is on the product, service or outcome being delivered without consideration for how that work with be managed and integrated into the larger project. Most projects have multiple project and product deliverables; they should all be reflected in the work breakdown structure. The work breakdown structure should be a complete listing of all the work being done on the project. If it is not in the work breakdown structure than it is outside of the scope of the project. Conversely, all work within the scope of the project should be reflected in the work breakdown structure. *this is not an advertisement for post-its®. I do not advertise or accept advertising of any kind on this blog. I have no affiliation with 3M or post-its®, I simply love the product (all the shapes and sizes) and use them regularly. When I mention products or services by name, it is because I use/buy them. I buy them with my own hard-earned money.